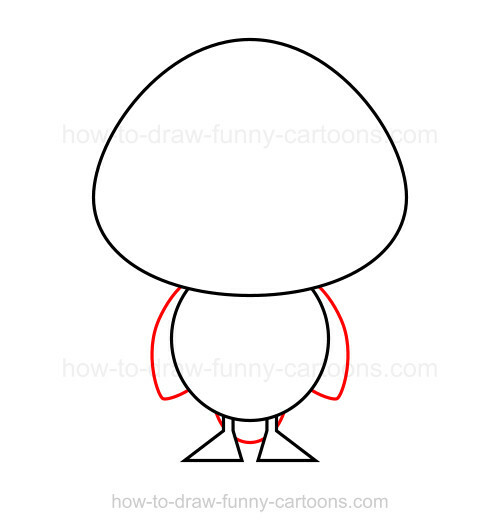 This tutorial can help you learn how to draw a duck created from oval shapes and simple lines. 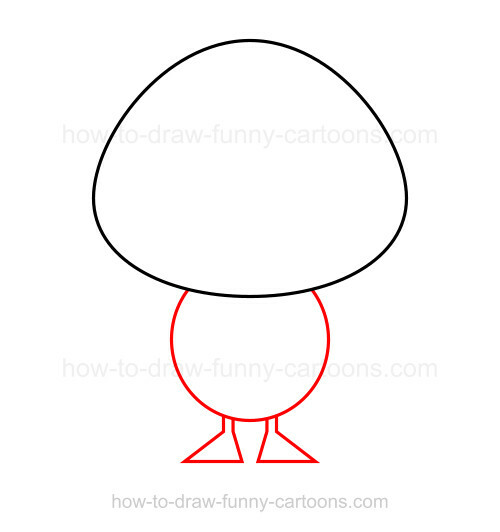 If you tried another tutorial on how to draw ducks before, you may have noticed that this animal is usually drawn from a side view. It's certainly easier to draw the beak and make sure that the animal does look like a duck, but how about working a front version? Let's give it a try! A front version is indeed a little bit more challenging, but using this simple design it should be relatively easy to duplicate. 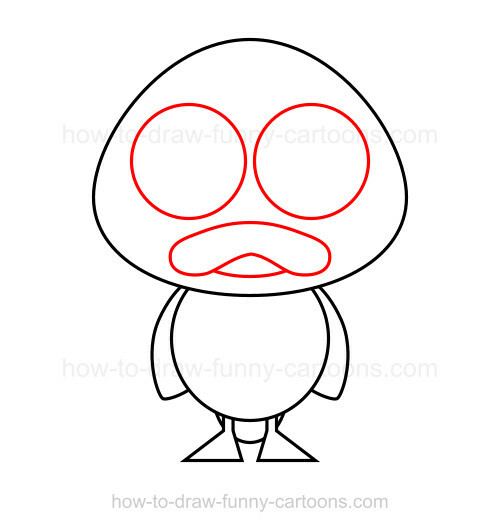 Two major elements must be drawn properly to end up with a recognizable duck: The beak and the feet. Once these two parts of the body are sketched with great precision, the rest is easy to achieved. Great. Let's move on and create the head. 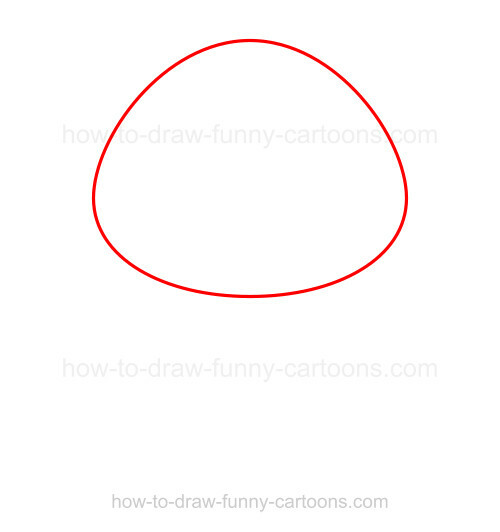 You will need to illustrate this important element using a circular shape. However, this circle needs to be slightly narrower on top and just a little bit wider on the bottom. It should look like an egg, but much wider. 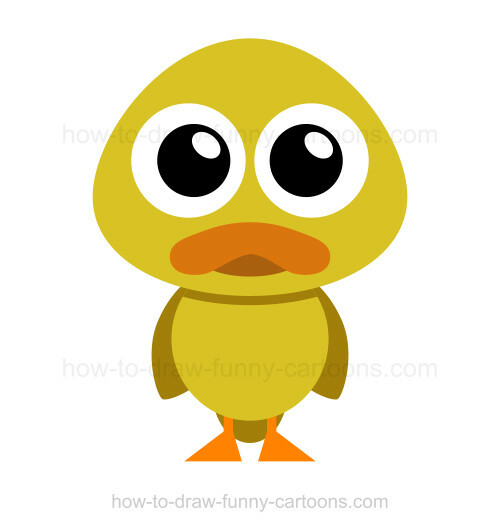 Our goal is to draw a cute and funny version of a duck. That's why drawing a smaller body can be a good idea. To do so, you also need to use a circular shape. Legs are drawn with a rectangular shapes while the feet are made from small triangles. Next, you can add the wings using long curved lines. Make sure that the wings are slightly pointed on the bottom. The tail is made from a simple circle. 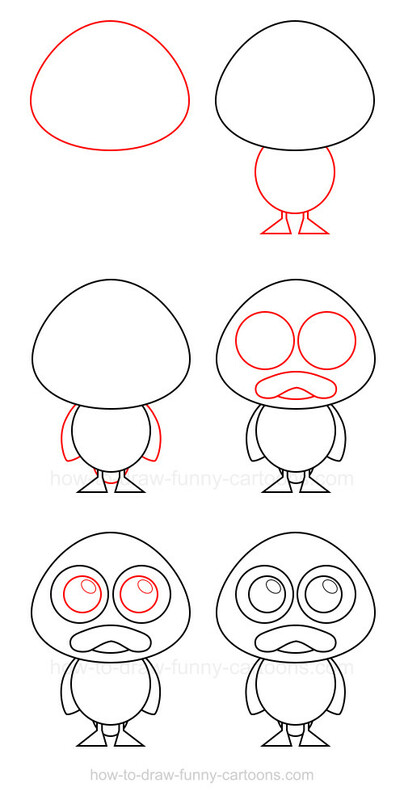 Once again (if you are familiar with characters from this series) you can use large circles to form the eyes. The beak is a little bit more tricky because a large oval shape with a small curve in the middle is needed for the top part. The bottom part of the mouth is simply created from a small circle. Finally, you can complete this cartoon character by adding the pupils. They can be made from large circular shapes. Don't forget to draw some kinds of reflection inside the pupils using small oval shapes. 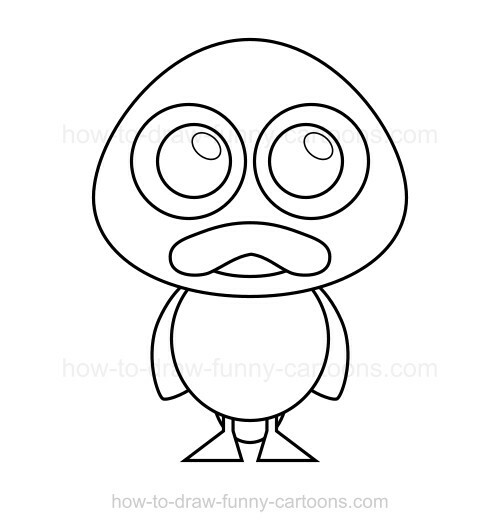 Did you enjoy this lesson on how to draw a duck? I hope so! This is truly one of the simplest version you can start with. Practice and practice even more if needed. This is the only way you can duplicate this cute character and impress friends and family. Enjoy!